For most kids, turning 18 is a milestone to look forward to. It means freedom, no longer having to ask your parents’ permission for everything. You can vote, buy a lottery ticket, get a tattoo. For some, it means going away to college or maybe living away from home for the first time. 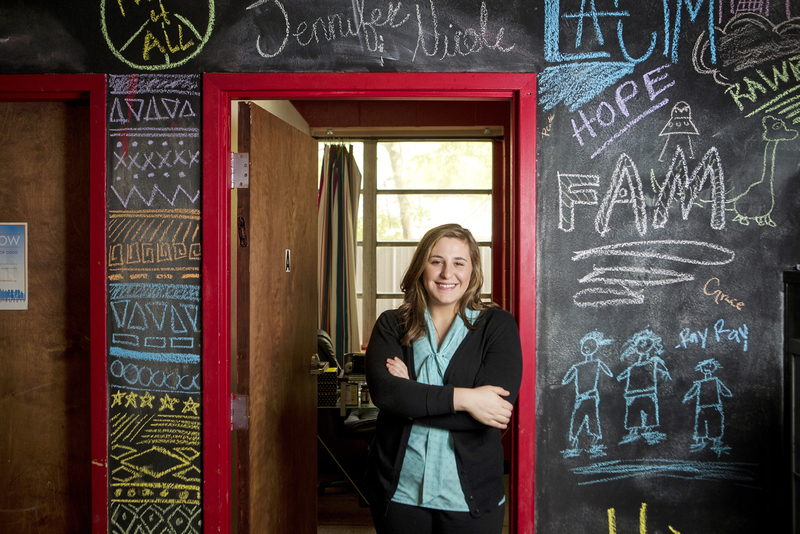 Coming of age is different for teens in foster care. Eighteen is a birthday to dread: It’s the day these youths age out of foster care. Some immediately become homeless. Some drop out of high school, more concerned with figuring out how to eat than history class. Some fall in with a bad crowd and get involved in crime. A few graduate high school, get jobs and learn how to fend for themselves. A few go to college, and fewer still will graduate from college. At 18, they all face the same unimaginable challenge: Enter the real world and figure out how to succeed—and nearly half are forced to do it without a single adult in their lives to help them. Despite the obstacles and against the odds, it can be done—and it has been done by the Baton Rougeans in this story. They share how they made it and who helped them get there. Ninety-nine percent of the time, the kids pick that as her lie. Vidrine is poised, put-together and well spoken. The 24-year-old is not only a high-school graduate but a college graduate. She has her dream job; as the director of HP Serve’s Louisiana Collaborative Intervention Model, she is working on a federal-grant-funded research project about foster care and at-risk youth. Through HP Serve (a nonprofit associated with Healing Place Church that is dedicated to empowering disadvantaged individuals), she works closely with the Louisiana Department of Children & Family Services on her research and to lead focus groups. She has plans to go to law school one day. And six years ago, she was just coming out of the foster care system. As she tells the children during the game, that’s one of her truths. The truth is that as a former foster youth, Vidrine is the exception, not the rule. Most foster care children are two years behind in school, she says. This can be especially difficult for an 18-year-old who still has several years of school left. “If you’re aging out, and you’re a 10th grader but you have to figure out where to live and what to eat, going to school doesn’t make a lot of sense,” she says. Beyond high school, about 70% of foster children express a desire to go to college, according to HP Serve’s research. Only 2% will graduate from a four-year university. When she graduated from high school on time, Vidrine says she thought the foster community was going to throw a parade for her. She beat the odds, but that’s not the only reason why she can fool the foster children about which statement is her lie. For Vidrine, looking put-together is a science. She’s been practicing it since childhood. If you had passed her childhood home on Highland Road a decade ago, you probably would’ve seen a picture of a happy family: It was a nice house with European cars in the driveway. Her parents were wealthy lawyers, and she and her brother attended private school. But behind closed doors, there were problems that Vidrine worked hard to hide from her friends, teachers and neighbors for years. Problems that she still doesn’t want to talk about today. When things would get bad, she would fantasize about having her own, private room with all-white walls where she could escape her family and decompress. At the same time, she would daydream about doing things normal families did, like going grocery shopping together or spending an afternoon at the park. She desperately wanted normalcy, and she did everything in her power to fake it for her friends and teachers in order to avoid raising a red flag about her home life. “I made up cutesy stories in high school about what I did on weekends,” Vidrine says. In reality, her weekends were not “cutesy.” She never invited friends over, never hosted sleepover parties. She kept her classmates at a distance, careful not to get too close to anybody. She lost friends because she hid so much of her personal life. But it didn’t matter—all she cared about was protecting her family. It’s common for children to put the blame on themselves for what’s happening at home, Vidrine says, in large part because they don’t want to be taken away from home and separated from their siblings. But things got worse at home, and Vidrine entered the foster care system while she was in high school. “It takes a lot for the state to take away kids from their parents,” she says. Foster care serves as a “protective service for children and their parents who must live apart because of child abuse, neglect or special family circumstances requiring the need for out-of-home care,” according to the Louisiana Department of Children & Family Services website. “Just like everybody else, I had no idea what foster care was. It was something I saw on the news on an orphan special,” she says. She didn’t know what to expect, except that from the moment she entered care, her last chance at a normal childhood vanished. She was forced to grow up quickly. Unlike her high school peers, she wasn’t thinking about her homecoming dress or what her weekend plans were; she was thinking about how to take care of her disabled brother; about how she might get home to her parents—and what she might find when she got there. She went through three or four placements in foster care. The conditions in the homes varied. Some families kept her sleeping on a futon. Other times she slept on a bunk bed. The conditions were never stable, but she says she always felt safe. Vidrine kept busy by working two jobs and an internship; she was an intern for the District Attorney’s Office, and worked at the courthouse and in federal and local elections and as a team leader during the night shift at Chick-fil-A. Then, in the midst of her senior year, Vidrine’s father unexpectedly passed away. She was devastated. Not only did she grieve the loss of her father, she felt the loss of a chance to ever have a normal family again. She caught a ride to her father’s funeral with her aunt and uncle, whom she hadn’t seen for several years. They quickly bonded. “Just when I thought my chance at a family had disappeared, one ended up coming to me in the most unexpected of ways,” she says. Once she got to college, they were the family she came home to during school breaks. Today, they’re the family she spends holidays with. And after being in foster care, having someone to be with on the holidays is a huge relief. “Spending holidays in foster care or with friends, you’re guests. You always feel like a burden,” she says. The months after her father’s death were hard, but the new relationship she had built with her aunt and uncle helped. In the middle of everything, Vidrine was accepted to LSU on a full scholarship. That meant she’d get free room and board. She half-jokes that she went to school for the housing. But for a foster child about to age out, housing is everything. College was challenging for Vidrine. Still reeling from her father’s death, it would just take one obstacle to break her, like her car breaking down or her apartment being broken into. She couldn’t escape the thought she should be working and earning money instead of studying. During her sophomore year, she started going to church. She found a good group of friends, who for the longest time didn’t know her back story. Slowly, she learned how to trust. She made it through school and ended up graduating with full honors and degrees in business and political communication. Vidrine was 23 when she started the job at HP Serve. She lives and breathes her job. The focus groups she leads engage and learn from the most at-risk foster care youth. She and her team work to help the youths transition successfully into adulthood, teaching them about bonding, resilience, self-determination and self-efficacy, behavioral/moral competence, and social, emotional and cognitive competence. The groups are held six times a month all over the state, and after her travels she sometimes doesn’t get home until 11 p.m. While she drives, she daydreams about exercises she can use to help her youths. In one such exercise, the kids are split into groups. They pick a color and are supposed to find and retrieve objects of that color. The catch is that one of their senses is taken away from them—they either have their hands tied gently behind their backs or they are blindfolded. “It’s a metaphor for aging out—it’s like you have one of your senses taken away from you,” she says. The exercises are meant to help the teens confront the harsh reality of their situation—and also think about a way they can tackle it and overcome it. A lot of youths assume when they age out that they have an aunt, uncle or sibling they can live with. But often, these people are not able to emotionally or financially support them, which is why it’s common for former foster care youth to end up on the streets, she says. Her research has shown that 42.2% of foster care youths ages 14-17 lack a permanent connection with an adult, meaning they have no one to look up to for guidance, which is why Vidrine is a huge advocate for both mentorship programs and post-adult adoption. HP Serve’s goal is to identify a permanent connection in every foster care child’s life—and that doesn’t necessarily have to be someone who can provide financial support. Their research shows that having one caring and committed adult invested in a foster child’s life for even just 4-8 hours per week is directly related to better outcomes in education and employment attainment, good mental health and reduced behavioral problems. The organization’s mentoring program matches individuals interested in offering support with youths based on similar interests and hobbies. Mentors go through a training session to attain a true understanding of what it’s like for foster children. The training session also prepares them for the emotional states of the youths—the average foster care youth goes through about eight placements during their time in the program, according to research Vidrine has uncovered in her studies. There are endless reasons a foster child may be shuffled around placements, DCFS spokesperson Grace Weber says—maybe the caregiver cannot meet the needs of the child; maybe the foster family is experiencing personal issues; or maybe there is a more family-like setting available for the child. “Safety for the child is our number one priority,” Weber says. When selecting a foster home, DCFS focuses on proximity to the biological family, keeping the child in his or her school and providing for any special needs he or she may have. Either way, if you’ve had eight different placements, forming bonds and learning to rely on someone doesn’t come naturally anymore, Vidrine says. Mentorship offers a chance to break that pattern—once the children start building connections, it’s amazing how quickly they blossom, she says. For Vidrine, her work is incredibly therapeutic and has helped her heal. Recently, she ran into one of her favorite youths, a girl she hadn’t seen in years. Because the children move in and out of homes so often, it’s not uncommon for Vidrine to lose touch with them. The girl pulled out a piece of paper. On it was a letter she had written for Vidrine. After reading the letter out loud, Vidrine folds it back up and places it back into her bag, where she carries it with her always now. “On paper, this kid shouldn’t have made it. But she’s doing well now. She’s thriving,” Vidrine says. And whether she realizes it or not, Vidrine is a role model for these children. She made it through her hardships, graduated high school and college and is working hard to make a difference at her job. She owns her own condo now, and she finally has that private white room where she can escape. She avoided counseling for a long time but eventually was motivated to confront her emotions because of her younger brother—she realized that in order to take care of him, she’d have to be healthy herself. Now, she gets her creative release through writing. She even wrote a 200-page book about her experiences that she hopes to publish one day. It’s all been part of that path to achieve the normalcy she’s always wanted—except it turned out that to achieve that normalcy, she had to make peace with the abnormality of her upbringing. “You have to realize, too, day to day I don’t wake up and think of myself as a former foster care youth. It almost feels like a different life,” she says. Vidrine has always been told she acts mature for her age. Her friends joke that she was really 40 by the time she was 17. But now that she finally has the ability to enjoy her life, she feels like a kid now more than ever. She finally has that childhood freedom she has always wanted. By the time she was 16, Brittany Nicole Butler had experienced more tragedy than most people will in a lifetime. Her brother Roger was murdered when she was 10. She had been very close with Roger, and before he died, she didn’t know or understand what death was. His funeral would be the first of many she’d attend during her adolescence. A year later, her 28-year-old sister passed away from heart failure. When she was 12, her dad started to get sick. Suffering from diabetes, he had to have his leg amputated. At the same time, her mother developed heart disease. Her father’s condition worsened, and when she was 14, he was killed in a car accident. Two years after that, her mother passed away. It was 10 days after Butler’s 16th birthday. “My parents were everything to me,” Butler says. “Where am I supposed to go from here? How am I supposed to move on?” she wondered. She and her younger siblings went to live with their half-brother, Nathan. They moved a lot, so she switched high schools constantly, sometimes transitioning between schools that were predominantly black to schools that were predominantly white. It was a hard, emotional time. The loss of her mother lingered heavily on her heart, and as she struggled to deal, her grades dropped. With a 3.8 cumulative GPA at the start of her junior year, Butler had always prided herself on her schoolwork. She finished the semester after her mother passed away with a 2.2. “It seemed like Brittany was going toward failure, and she was going to self-destruct,” she says of herself. She worked during the summertime to buy her own clothes so she’d burden Nathan as little as possible. But two weeks into her senior year, she was hit with another blow: Nathan told her he could not support her and her siblings financially anymore. They would have to find a new place to live. Butler went to live with her best friend for a few months and then eventually another relative. But after tension built in that house, she was out of options. With nowhere to go, she and her sister became homeless. Not long after, she ran into one of her mentors from Baton Rouge Youth Coalition (BRYC), an organization Butler was part of that prepares high-achieving, at-risk youths for college. Her mentor immediately called DCFS. She was placed into foster care. Though she was separated from her siblings, being in foster care for the five months before she turned 18 was a relief. She liked her foster caretakers and was thankful for hot meals, school clothes and the ability to take a bath. The hardest part was moving around. Sometimes her case worker would call her on a Tuesday night and tell her to pack her bags because she’d be changing homes the next day. Sometimes, the case worker would expect her to leave the same night. Butler packed everything she owned with her, which fit into two suitcases, a duffel bag and a few storage boxes. She went through three different homes in five months. In one of the homes she was by herself, but in the others she shared space with three or four other children. While moving around was hard, knowing she would always have a place to sleep offered Butler a stability she hadn’t had in years. She credits foster care with getting her through her senior year and doesn’t think she could’ve gotten into college if she hadn’t experienced it. BRYC was also a huge supporter of her during this time. With the support of her mentors, she was able to get her grades back up in time for college applications. After she aged out, one of her foster caretakers took her in for the summer before college so she had a place to stay. Spelman College in Atlanta had been Butler’s dream school since she was in eighth grade. She discovered it while researching colleges for a school assignment and instantly felt like it could be home. 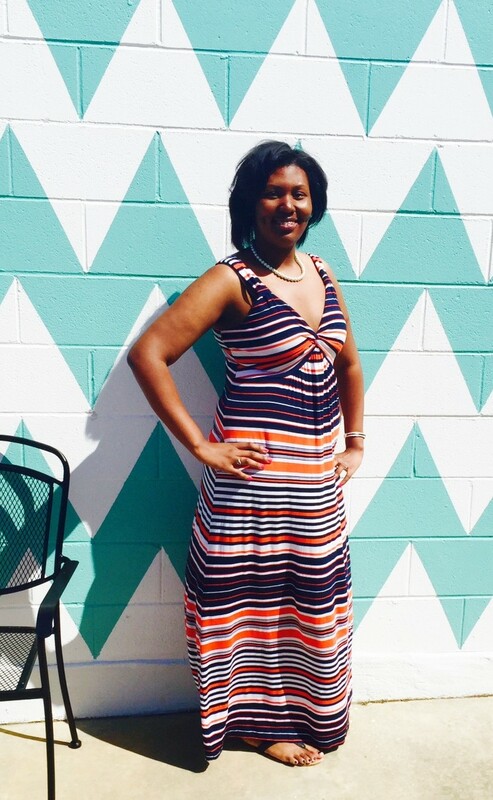 With the support of her BRYC mentors, she applied to several colleges—including Spelman—during her senior year. When she found out she was accepted into Spelman last spring, it was a powerful moment. “I never cry; I never never cry, but I just broke down. I was so happy,” she says. Today, the 18-year-old is a first-generation college student. She is a freshman pre-law student majoring in psychology. She was inspired to study psychology based on the relationship she had with her own counselor following her parents’ deaths. It was a time when she felt isolated and didn’t open up to anybody. She dreaded going to school and going home to her half-brother Nathan’s house. She didn’t want advice, and she didn’t want counseling. Her counselor had other plans, though. She told Butler she wasn’t going to give up on her. She gave her activities to help her heal. At her counselor’s encouragement, Butler started writing her feelings in a journal and has never stopped since. Shortly after arriving in Atlanta, Butler got involved on campus. She mentors young girls through Beyond Curves, a student organization that encourages body acceptance and empowers young girls to get an education. She works with sixth graders for two hours twice a week. “I have been through many hardships, and why not take my story and what I’ve been through and use it to help others? I am motivational. I am inspirational. I am resilient,” she says. She plans to write a book someday about her experiences. With her stoic openness, Butler makes it look easy to talk about her past. But she is still dealing with the loss of her parents. It hurt to watch her peers move into the dorms at school with the help of their families, to see her friends call mom and dad every day. “Man, I just really wish my parents were here,” she would say to herself. Her sister, who had five boys, would thank Butler for being the best aunt to her children. And her father, who had always been a quiet, reserved man, would proudly pat her head and say, “That’s my baby girl.” Just short and simple, Butler says. And she is grateful for the BRYC mentors who helped her. Dreaming about her future is what keeps Butler from slipping into sadness. She’s hoping to go to law school and advocate for youths in foster care. The tragedy she’s been through has only fueled her fire to succeed. And that’s exactly what Butler is. Upon first meeting Michael*, he is hard to read. He’s quiet and reserved, answering every question with as short of a sentence as he can get away with. Spend a few hours with him, though, and he opens up, about everything from his love for pop star Katy Perry and the Patriots to his desperate need to own his own dog and his hopes to either be an astronaut or the next president of the United States. He’ll talk about his role models— Gandhi and Nelson Mandela—and his love for crawfish spicy enough to make flames shoot out of his ears. He graduates high school this month, and there is only one thing he wants for his graduation present: a trip to Universal Studios. “Roller coasters are like life. You go up, and then you go back down. They really bring the toughness out of you—and the puke,” he says with a sly smile. His tone is joking, but knowing his back story, it’s not a stretch to think Michael might be referring to his own life. When he was in middle school, Michael’s father was incarcerated for murder. His mother struggled to provide for him and placed him into foster care. For the next several years of his life, he was shuffled between six foster homes. Despite his instability at home, Michael kept his grades in school up and was accepted into BRYC in 10th grade. When it came time to match Michael with his college mentors, BRYC Executive Director Lucas Spielfogel felt he had a perfect match. He introduced Michael to Sharon and Austin Turner, two newly married teachers. They clicked immediately. “Lucas told us he had someone in particular he wanted us to meet. Little did we know he meant Michael,” Sharon says fondly. Austin was immediately impressed by how well-read and intelligent Michael was. “A sharp young brother with a book in his hands—could you ask for more?” he says. Meanwhile, Michael and his foster caretaker continually had disagreements. Tension between them festered over the months until an incident where the police were called. Michael decided he wasn’t going back to her home, and he checked himself into an emergency shelter. It was at this point that the Turners felt a need to intervene. After a few short months of knowing Michael, they had grown to love and care about him enough to apply for legal guardianship. “Literally from the moment we met—that’s my son. That’s my man,” Austin says. The Turners feel like Michael has been with them always. They still get teary-eyed remembering how they felt the first time they heard Michael call them “his parents” a few month ago. And both of the Turners’ parents have enthusiastically taken to their new grandson. His grandparents have observed a tremendous growth in Michael since he came to live with the Turners, too. He has really started to come out of his shell, they say. In the fall, Michael will attend LSU. He’s looking forward to studying to become an astronaut—and maybe even auditioning to be Mike the Tiger. And Sharon and Austin have no doubt he’ll make his dreams come true. *Because he is a minor, the names of this child and his guardians have been changed for his protection. Though Michael, Butler and Vidrine have either graduated college or are on track to, they only represent 2% of the foster care population. Many others will never even have an opportunity to go to school. All three of them give a lot of credit to the adults in their lives who supported them—Vidrine’s aunt and uncle, Butler’s foster caretakers and BRYC mentors, and Michael’s mentors-turned-guardians. Aimee Poche is the adoption director at HP Serve’s Louisiana Heart Gallery, which posts portraits and short bios of adoptable children from nine regions in Louisiana in an online gallery. The organization hopes parents looking to adopt will connect with the digital stories. Poche has eight children, five of whom she adopted, so she is passionate about finding homes for children in need. Ten years ago, Poche and her husband were struggling with infertility and made the decision to adopt. They traveled to an orphanage in Peru. “It was the epitome of what you’d think an orphanage looks like. It was on the side of this mountain. Dirty, stinky,” she says. They walked in and a little boy immediately ran up to Poche’s husband, pulled him into a hug and begged to be adopted. The orphanage’s staff instructed them not to reply—the children ask everybody who comes in that question, they were told. “It literally rocked my world,” Poche says. They adopted their first daughter and were back within months to adopt her siblings. 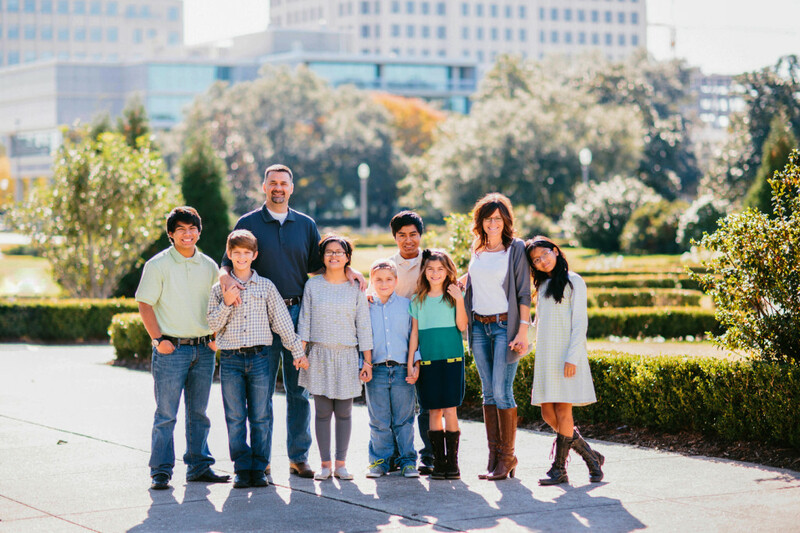 In less than 22 months, Poche and her husband adopted five children and a sixth nearly two years later. The adoptees were 15, 13, 9 and two 22-month-olds, as well as an infant. She and her husband also birthed two children during the same period. One of the children has special needs, so she had five in diapers at the same time. To say it was a challenge is an understatement. But it was also tough adopting a 15-year-old. Poche’s oldest daughter suffered years of abuse and has had difficulty trusting anyone. “Every woman she’s known has rejected her, so why am I any different?” Poche says. Bonding with her has taken much longer, and 10 years later they still struggle to connect. But Poche regrets nothing. She’d go right back and adopt the same children. It’s a misconception that older children are not adoptable—people think they have too many problems, she says. While Poche would encourage anyone to adopt, she realizes it’s not an option for everyone and emphasizes that there are so many other ways to help. The photographers who donate their time and talents to take children’s portraits for Louisiana Heart Gallery have the potential to change a child’s entire life. They are also looking for videographers to shoot two- to four-minute video biographies of the children. Beyond that, connecting with foster families or parents who have adopted is hugely helpful. Providing a meal, transportation or even offering to babysit for two hours on a Saturday afternoon can provide these families relief they haven’t experienced in months. There’s a need for counselors who are familiar with adoption and trauma and always a need for mentors. “We’re so comfortable in America. We need to get uncomfortable. I can’t stress it enough—you will find your purpose if you get uncomfortable,” she says. Blake Stevens, the district manager for Starbucks Baton Rouge and New Orleans West, has gotten involved in another way. Through Starbucks, he has partnered with Liberty’s Kitchen in New Orleans to provide mock interviews, customer service training, and to teach at-risk kids about work ethic, how to dress for success and what companies are looking for. He is in the process of partnering with HP Serve on a similar program in Baton Rouge. He emphasizes that one organization can’t make a difference by itself, and he hopes to connect with other groups who can get involved, as well. “People who haven’t had a background to allow them to be successful—that’s not their fault. I want these kids to have a chance. I want these kids to be proud of themselves and successful,” he says. Ensures the safety of and provides daily necessities for a child, including food, shelter, hygiene and transportation, and acts as the point of contact for a child’s teachers, doctors and peers on a temporary basis. Foster parents have a 24-hour responsibility for all the needs of the child. They do not have the same rights as a parent and must follow all Department of Children & Family Services guidelines and cooperate with the child’s parents, social workers and agency staff members. 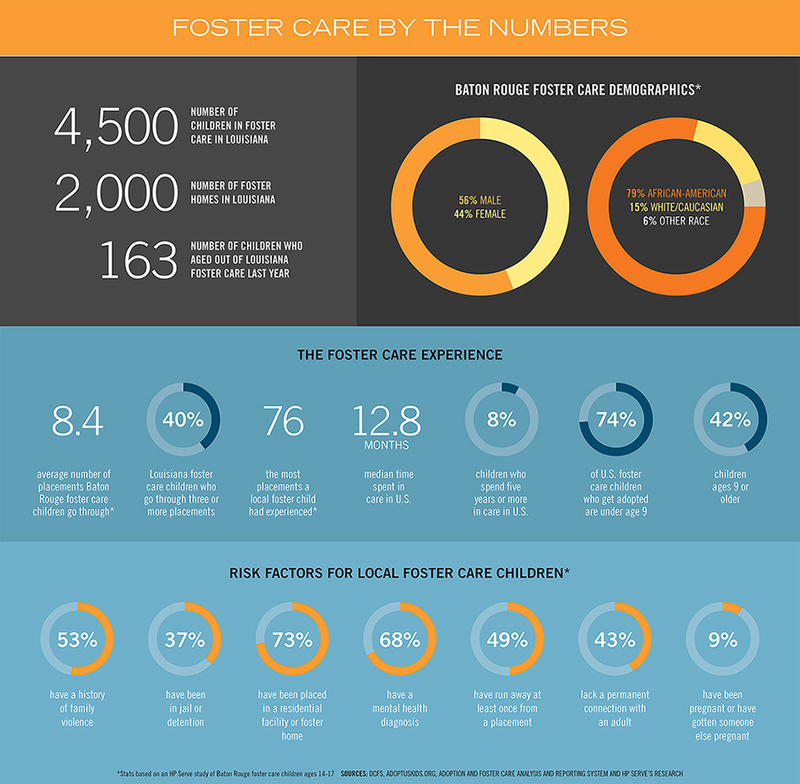 How do children enter foster care? Children in foster care have been separated from their parents due to child abuse, neglect or other circumstances. Foster care is designed to be a safe, protective environment until a child can be reunited with his or her biological family. Can a foster care child be adopted? Reunification is always the primary goal of foster care, but if parents either surrender their rights or have their rights terminated by the courts, a child becomes eligible for adoption. Individuals interested in fostering a child must be at least 21, have sufficient income, and be in good physical, emotional and mental health. Foster parents are not paid, but they are provided reimbursement to assist with clothing, food, hygiene and other items to ensure the emotional and physical well-being of the child. What happens when a foster child turns 18 and is no longer eligible for foster care? DCFS ensures they have photo IDs and other documents like birth certificates. It provides referrals for housing, community resources and Independent Living Contract Providers in their region (who can assist them with ongoing case management until they are 21). Former foster youths qualify to utilize Medicaid until they are 26. If they are within a year of completing secondary education, they may qualify for a monthly $500 stipend toward living expenses while they finish school. To learn more about foster care, visit dcfs.louisiana.gov. There are so many ways to help foster care children or at-risk youth in Baton Rouge. This is a snapshot of a few local organizations to consider connecting with. Louisiana Heart Gallery: The organization, which shares stories and photos of adoptable youth online in hopes of connecting with potential parents, needs talented camera operators to create video bios of children for its website. Contact [email protected] for info. Editor’s note: This article has been updated since its original posting to include info on how to get involved with the CASA program.